Background/Purpose: Dupuytren’s contracture is a rheumatic disease characterized by an fibrotic reaction in the palmar aponeurosis, resulting in disability. Medical treatment with up to 3 injections of collagenase clostridium histolyticum (CCH) chemically disrupts the cord to reduce contracture. Transient swelling in the surrounding tissue and, rarely, rupture of the underlying tendon may occur. Ultrasound evaluation, particularly with elastography, may have the possibility to improve clinical decision making, as elastography allows grading of the tensile strength (softness or firmness) of tissues. This pilot study explored Dupuytren’s cord changes with a single treatment of CCH; serial elastography measurements were performed to determine if such follow contributes to clinical decision making. This IRB approved protocol first established the elastographic regional pattern of normal hands as well as untreated Dupuytren’s contractures by studying 5 normal subject hands and 5 Dupuytren’s contracture hands (MCP or PIP contracture angle > 20o but < 90o). We assessed the response of 10 Dupuytren’s cords treated with ultrasound-guided injection of CCH for reduction of contracture. Research staff collected serial physical examinations and Unité Rhumatologique des Affections de la Main (URAM). A separate, blinded, researcher conducted ultrasound imaging. Measurements were taken at baseline, followed by days 1, 2, 3, 15, and 30, to follow the treatment protocol for administration of CCH. The region of the cord was designated the upper segment (UpS) and the region of the underlying tendon was designated the lower segment (LwS). Elastographic regional patterns were graded with a scale used for grading organ based lesions, where grade1 demonstrates mostly red region (“soft tissue”) and < 10% blue regions, grade 2 demonstrates > 25% green regions and > 10% but < 25% blue regions, grade 3 demonstrates 25-50% green region and > 25% but <50% blue region and grade 4 demonstrates > 50% blue regions (“hard tissue”); this grading 1-4 was labelled the elastography score (ES). Statistical analysis of response was performed with Shapiro-Wilk test and student t-test. Results: The normal hand had an average ES of 5.08 in the UpS and an ES of 16 in the LwS. In contrast, the untreated Dupuytren’s hand had an average ES of 12.36 in the UpS and an ES of 15.6 in the lower segment. The normal hand ES UpS vs untreated Dupuytren’s hand UpS had p < 0.01 but the normal hand ES LwS and untreated Dupuytren’s hand ES LwS did not. In the treated Dupuytren’s hands, the ES UpS at baseline 11.6 decreased to 9.1 in the first 24 hours of treatment and by day 30 was 8.8 and the ES LwS changed from 14.4 to 12.7; the contracture changed from 35.6o to 23o and the URAM scale changed an average of 2 points. The normal hand ES UpS vs treated ES UpS had p < 0.01. Conclusion: This pilot established an elastographic regional scoring system for normal and pathologic tissue affected by a fibrotic disorder and demonstrated that the elastographic regional scoring system could detect response to treatment. This has significant clinical implications for the treatment of Dupuytren’s contracture as well as for other rheumatologic fibrotic disorders. Further study with a larger cohort is needed. Disclosure: P. J. DeMarco, Auxilium Pharmaceuticals, 2,Amgen, 8,Abbott Immunology Pharmaceuticals, 8,AstraZeneca, 2; A. K. Matsumoto, None; N. Thomas, None; M. Bishop, None; A. G. DeMarco, None; G. Respicio, None; A. Beall, None; R. Rosenberg, None; T. Bass-Goldman, None; H. S. B. Baraf, None. DeMarco PJ, Matsumoto AK, Thomas N, Bishop M, DeMarco AG, Respicio G, Beall A, Rosenberg R, Bass-Goldman T, Baraf HSB. Ultrasound Imaging with Elastography for the Medical Treatment of Dupuytren’s Contracture [abstract]. Arthritis Rheumatol. 2015; 67 (suppl 10). 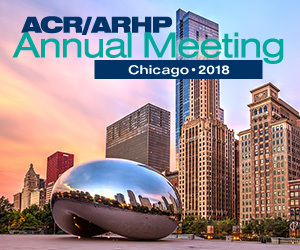 https://acrabstracts.org/abstract/ultrasound-imaging-with-elastography-for-the-medical-treatment-of-dupuytrens-contracture/. Accessed April 20, 2019.